This Fiji accommodation boasts the perfect beachfront location overlooking the Mananuca Islands for your next family holiday or couples getaway to Fiji. Hilton Fiji Beach Resort & Spa offers a range of Guestrooms, 1, 2 and 3 Bedroom Apartments and Penthouses to choose from plus a wide variety of facilities including 7 pools, Spa Facilities, restaurant and many water activities. 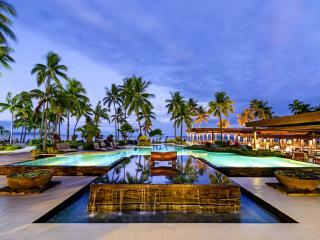 Why not stay at the Hilton Fiji Beach Resort & Spa for your next Fiji Holiday. Only 20 minutes from Nadi International Airport, the Radisson Blu Resort Fiji on Denarau Island offers spacious guest rooms and self-contained one & two bedroom suites, each with their own private balcony to enjoy the views over the golf course, tropical gardens or lagoon swimming pool. 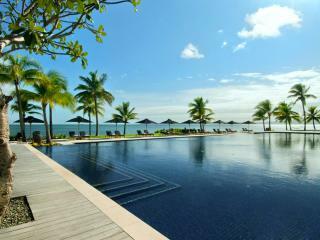 The Radisson Blu Resort Fiji Denarau Island has everything you want to make your Fiji holiday a memorable one - water sports, fishing, beach activities, island tours, day spa, a large lagoon pool, Kids Club and a range of dining and entertainment options. Located on Denarau Island, seven minutes from Nadi Town and only a 20 minute drive from Nadi International Airport, Sheraton Denarau Villas is situated on just under seven beachfront acres between Sheraton Fiji Resort and the Westin Denarau Island Resort & Spa. The villas are ideal for longer stays, groups or families. Sheraton Denarau Villas also share all facilities of the Sheraton Fiji Resort and the Westin Denarau Island Resort & Spa. Sheraton Fiji Resort located on Denarau Island has all the modern luxuries you could want. 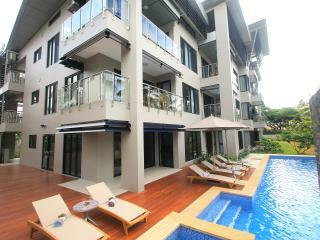 Beachfront location offering spacious rooms, contemporary and modern interiors all with ocean views. 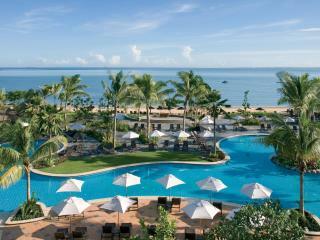 Sheraton Fiji also shares facilities with the Westin Denarau Island Resort & Spa and Sheraton Denarau Villas. There are a number of restaurants and bars to choose from including outdoor casual dining to gourmet cuisine and service. Sofitel Fiji Resort & Spa is located on Denarau Island on the western side of Viti Levu, just 20 minutes drive from Nadi airport. This luxury resort is set on absolute beachfront and is adjacent to the renowed Denarau Golf and Racquet Club. The Sofitel Fiji Resort & Spa has been designed to blend contemporary comforts with Sofitel's classic French style and the natural serenity of Fiji's stunning surrounds. 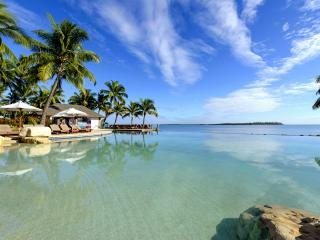 The Palms Denarau Fiji is great value 3 star Denarau accommodation ideal for short stopovers for couples and families. The resort offers a cafe, swimming pool, tour desk, free WiFi and car parking. Choose from hotel style guest rooms or fully self contained apartments with spacious living area, kitchen and laundry. The Palms Denarau Fiji is the perfect place to base yourself before heading out to the Fiji islands. The Terraces Denarau Island is the smallest resort on Denarau Island and offers the highest levels of personal and friendly service. This apartment resort appeals to all, particularly families who desire the convenience and comfort of a fully furnished apartment at an affordable rate. The Terraces setting provides views of Fiji's majestic Nausori Highlands, the mountain range that surrounds Nadi Bay and the 18 hole championship golf course. This Fiji accommodation is set on the beach on Denarau Island and is surrounded by lush tropical gardens. The rooms at The Westin Denarau Island Resort and Spa blend local aspects of the island's architecture and tradition with luxury. 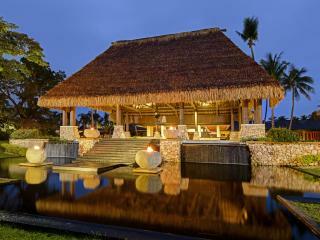 This luxury Fiji resort is convenient to Nadi International Airport, Nadi Town and Port Denarau Marina. It's the perfect place to holiday offering extensive facilities and the ambience of authentic Fijian culture.